The seashell aftermath on Sanibel left by Tropical Storm Debby was a sight to shellebrate. Seriously… buckets of shells lined the beach surrounding the Sanibel Lighthouse. Not only were there buckets overflowing with shells, there were shell bags upon shell bags lining the shoreline. Okay, hold on….take a breath before I show you this next photo of the beach next to the Sanibel fishing pier. There were PEN SHELLS, FIGHTING CONCHS, LIGHTNING WHELKS, BANDED and TRUE TULIPS, HORSE CONCHS and a gazillion MILLIPEDE STARFISH. You ready? Taylor from New York was one of the lucky shellers that found this gorgeous TRUE TULIP and lots of really nice size LIGHTNING WHELKS (4th pic from the top). I couldn’t believe it when Taylor’s mom showed me an ANGELWING PAIR. Yes! I said “PAIR”! They found it right there near the pier. Awesome! I can’t tell you how much fun it was to meet Jesse from Ormond Beach, FL. He was catching fish AND catching shells! He had buckets of shells but these were a few of his best finds of the morning… 2 awesome ALPHABET CONES, a deep orange TRUE TULIP and I hope you can tell how unusually orange his LIGHTNING WHELK is. Jesse was shelling with his beautiful family who all found unbelievable treasures- Chris, Jamie, Jordyn, Patty, Jeese and Jake. He found this stunning SUNRAY VENUS along with LIGHTNING WHELKS and collected ATLANTIC GIANT COCKLES as well. Ilicia (GA) wasn’t just collecting shells, she had her eye on the BEACH BLING as well. She found this very cool vertebrae from some kind of marine animal. Here’s a closer look in case you might know which marine animal it came from. Cool, huh? I found Michael from Melbourne, Florida plopped down at the water’s edge filling his bag with ANGELWINGS and SANIBEL SIX shells. After Tropical Storm Debby churned the Gulf Of Mexico for 4 days, Cara from Georgia couldn’t have been happier to have been on Sanibel to reap the shelling rewards of Mother Nature. As she was hauling her buckets of seashell gold, she told me she had found a beat up JUNONIA. I had to see it. Even though it’s a little rough around the edges, it’s still a beautiful keeper- Congrats! Oh, and btw, I gotta get me some of that cute nail polish too! Wanna see my best finds? There were gazillions of LIGHTNING WHELKS everywhere and oodles of LIVE HORSE CONCHS but I finally found a huge empty HORSIE and a pretty good size WHELK. Oh yay a, baby! It was sure worth the wait. Thanks Debby! I am so jealous, I will be there mid sept, guess I need to pray for a big storm. What a great post. I wish I could have gotten there earlier. It was so much fun. I love your horse conch. I thinks that’s the prettiest one I’ve seen you find. Thanks for the update! We’ll be there Friday, and the kids are going nuts looking at these pics. Do the best spots change from day-to-day? Hi Pam , I was planning on shooting over there early in the week but perhaps I should come tomorrow. Think it will still be incredible? This is absolutely unbelievable!!!! I have never posted on here before, but check the blog daily! I cannot wait to be there (will be down on Saturday)!!!! I hope there are some good finds left, I’m sure there will be though!! Amazing, I’m left speechless after viewing this!! Wow! That’s a fantastic horse conch! Just beautiful and so BIG! The vertebrae is especially interesting – please let us know if you get any word about where it originated. Wish I was there to sort through all the treasures. Will be there in person in a little over a week & can hardly wait! OH……MY……GOSH!!!!! I am just sitting here in awe!!!! Holy cow!!! You guys are sooooo lucky!!!!! I hope that there are some left over when I get there next week! Wow!! I’m just speechless – I’ve never seen it like that before!!! The Tulip – GORGEOUS!! I’ve never seen one that big before. And the vertebrae! Wow!! Yes, Cindy! I do believe there will still be shells coming in for a few more days…or more! All of us that couldn’t be in on the aftermath pickings from Debby are extremely jealous.. Nice find you lucky shellers! Its all I can do not to jump on a plane to get to Sanibel right this minute…that picture of the pier makes me crazy with jealousy!!!! I’m sure the lighthouse will still be good for a week or so… well I hope! I wasn’t able to get to Blind Pass but I’m sure there will be shells up there too. Clark went there this afternoon but the parking lot was still closed on the Sanibel side and he couldn’t find a parking spot on the Captiva side. I’m sure Gulf Side City Park will be good too. Yay! We hit up the lighthouse today & found some great finds too! So exciting! You guys are so lucky – nothing much but sea beans on South Padre – except I did find a baby’s ear tonight and lots of piles of little broken shells so maybe they will skirt over here in a week or so……….it always seems to help when the gulf has been churned up. Unbelievable – what a haul! So impressive! OH my gosh, I am so envious of everyone’s finds! Just shows what good can come from every storm! One day I will make it down there to find treasures like these! Thanks so much for sharing. I love your posts! I was eagerly awaiting the shells you would find after the tropical storm. I’m always out on the beach in Louisiana after Gulf storms looking for shells, but many of them are broken as we have so many stone breakers in place due to coastal erosion down here. Before moving to Tn, I lived in Ft. Lauderdale and visited Sanibel often. I now live in Knoxville, and I am having shell collecting withdrawals seeing all the beautiful shells. It really is difficult not to be jealous. My prize shell is a Junonia I found on the beach near the Castaways Resort in 1982. OH THIS MAKES ME SICK!!!!! I want to be there so bad!!! Foot surgery prevents me from a beachy/pool summer! I am so jealous of all the shells too! I so want to be there! Best time is right after a storm! I look at your posts and wish I was there! Thanks for this blog!!!! Keep shelling! I am right there with ya! I so wish I wasn’t 8-10 hours away! What I would give to be there right now! I so wish I was there right now! Makes me sick seeing all the fun I am missing out on! WOW! Good for everyone! In 30 plus years of visiting Sanibel, I don’t think that I have ever seen anything that comes close to these photos! Thanks for sharing. Oh WOW !!! So happy ( and ever so jealous ) for every one who got to be there in Sanibel ” after ” Debby , awesome shells folks ! I know if I was there now I’d be like ” a blind dog in a meat house ” … LOL !!! Pam , wonder how the shelling was at the Dolph , will have to contact Beth & get the scoop . Many thanks Pam for sharing the pictures , take care & happy shelling !!! Come on July 16th !!!! “Blind dog in a meat house” LOL! Me too! Wish I coulda hopped a plane yesterday! You know what they say: “It’s an ill wind that blows nobody any good”. By the way, I tried looking up that vertebra, and it seems to be from a dolphin. LOve, Love love that vertebrea the girl found! So Freaking Cool! I was at Blind Pass yesterday, but real disappointment as far as shells … water was amazing to watch though. Lighthouse didn’t disappoint – still had lots of shells. A shellers dream…that is AMAZING!! Wish I was there…happy for all of the lucky people who are there, jealous that I am not! O…M…G!!!!!! What an awesome haul everyone has! Those shells are amazing and the pictures of the beach at the lighthouse, Pam, is simply overwhelming! I would be hyperventilating seeing all the goodies. Be still my heart. Congratulations to everyone and I say “Carry On”!!!!! Can’t wait to see the next few days posts…they ought to be goodies! Oh, and that huge Horsie, Pam, sure wish I could find one like that. Maybe next visit! Hard to plan to come when there’s gonna be a storm tho’. So wonderful what the ocean stirs up, huh? omg I am so jealous….but so happy for everyone else. I did get out and do a little picking, got a coffee bean trivia among other small treats the other day and today I found a gorgeous scotch bonnet and tons of cross bar venus clams as well as bittersweet clams…added a few more to my collection. Sadly, I’m still longing to get over to Sanibel. Haven’t been since March; dying here! Congrats on that gorgeous horse conch! Hubby and I rode out Debby while we were visiting Sanibel and Captiva. Unfortunately the waves were too rough for us to get any real shelling done during the days we were there. We found the bulk of our treasures courtesy of Debby further north at Venice, Siesta Key and Coquina Bch (Bradenton). I am so excited for those who found their treasures after we left the Sanibel area. We will definitely be back soon! Went to our beach yesterday, but the waters were all the way up to the dunes still. We found some sharks teeth among the shell crush though. Heading back tomorrow, hoping the treasures will be washed up by then. Just praying some of those shells wait until July 14-21 for us! beautiful specimens. Come on storm front on the 12th! Ong. That is the last time I will stay and shell here in Sarasota after a storm. I am so envious of you lucky shellers. The shells are beautiful. We are extremely shellous of all the finds, but so very happy for everyone who was able to be there shelling after Debby! Horsies are my favorite and I am particularly envious of the one you found Pam, it’s greatl!! Will be down in a few weeks with my shelling sistah’s could you leave just a few til then???? I have never seen that many shells all at once at the Lighthouse! And the size of that tulip is literally breathtaking :D Thanks for taking us to the glorious aftermath! We had originally planned to drive in from TX and take 5 days so we could beach-hop. But, then we heard about the storm. So, we had to get there! 23 hours later we were here. Shelling the last two days has been extraordinary for shelling! Especially for summer. We’re gonna be here for two months so we’re looking forward to some some more great shelling. Shell for one, and all for shell! ……….tears of amazement, joy, excitement and wonder of the Universe! TWO MONTHS? OMG, do you need childcare/ laundry doer/ housekeeper/ cook/ ????????????? I’m trying not to be so shellfish. But I hope some will be left for me and my sistahs. Can’t wait!!!! Congrats to all the lucky shellers. I am 21 hours away, i actually had to map it out, lol…..oh well! OK that’s it – take my name off the email lists – I can’t stand it any more. I am so jealous I am “spitting nails”!!! DON’T YOU DARE REMOVE MY NAME. You are on my bucket list and I will make it there ASAP. I have shell envy ;) My husband & I checked Honeymoon Island (my local shelling spot) on Tuesday afternoon, but found only churning waves and limestone. Today we went to Caspersen Beach (our fav place) to hunt for sharks’ teeth and came home with some nice finds… and a little scotch bonnet to boot! So happy for everyone who got to take home all the wonderful shells. We were there back in May and I found a horse conch on a sand bar and my hubby found a large lighting whelk. Every time I look at them I remember how excited we were to find them. Can’t wait to come back down. I am happy yo know that I am not the only shell nut ! Love,love it… on the way to Emerald Isle, N.C. tomorrow, hope we can find some beauties there. Someday Sanibel!,,,,,. I am going to be there at the same time in September and I just said that out loud!!! 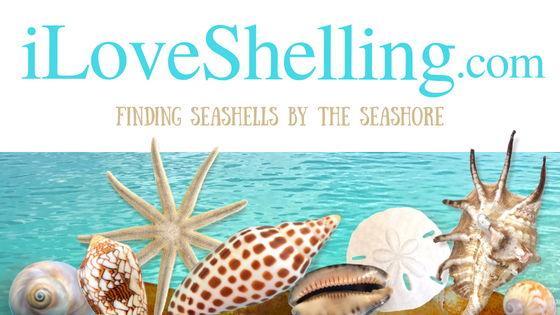 Thanks so much for sharing the great photos of all the fantastic shelling finds! I so wish I could there. You can NEVER have enough shells! I totally enjoyed reading about all the wonderful shells that were found on Sanibel Island after TS Debby. I visited Sanibel for the first time back in October 2010 and had the best time searching for shells. I am planning to go back next year and can hardly wait!! The pictures of all the shells made me even more anxious to go back! We found a lot of shells when we were there in October but are there any suggestions as to when the best time of year is for shelling? OMG! Great shots, felt like I was there. Love that big horse conch you found!